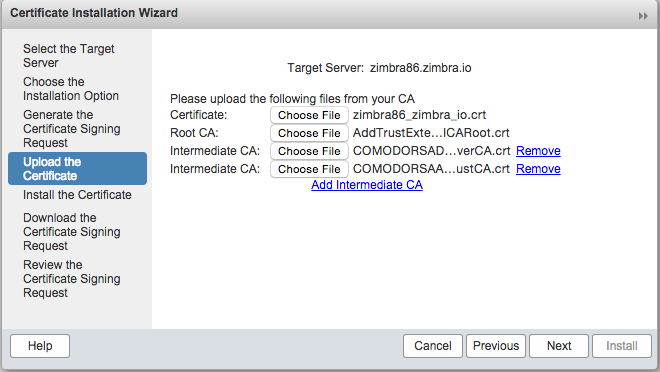 Use the article as a guide to installing a Comodo issued SSL certificate with the zmcertmgr tool or the Admin Console. Note the root and intermediate files may have different names depends of the SSL Certificate, like PositiveSSL, etc. 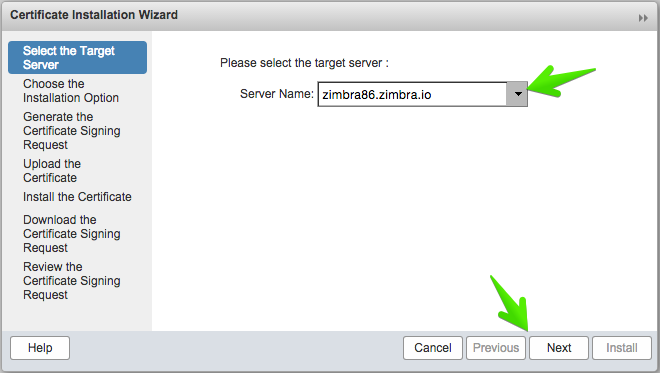 Note 2 all the below commands should be run as zimbra user starting ZCS 8.7 and above, and as a root user in ZCS 8.6 and below. 4. Place the SSL certificate in /tmp/commercial.crt. Certificate (/tmp/commercial.crt) and private key (/opt/zimbra/ssl/zimbra/commercial/commercial.key) match. 6. 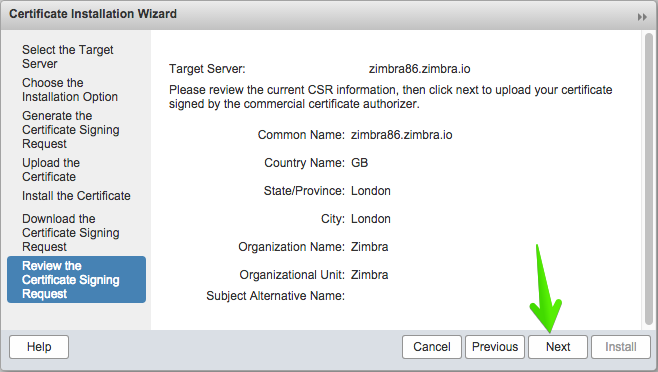 Deploy the commercial certificate with zmcertmgr as the root user. 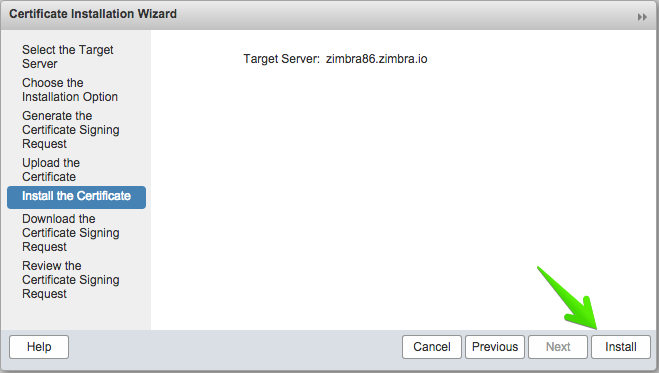 ** Saving server config key zimbraSSLCertificate...done. ** Saving server config key zimbraSSLPrivateKey...done.